You're right its lovely and your pages are amazing! Gorgeous! 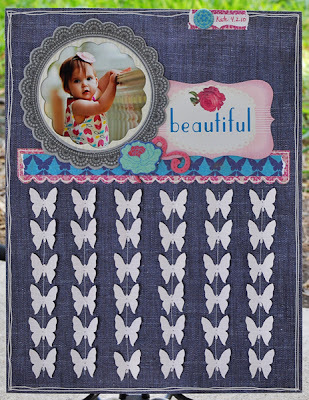 I absolutely love the sewn hearts... and the butterflies! Such an adaptable design, Izzy. 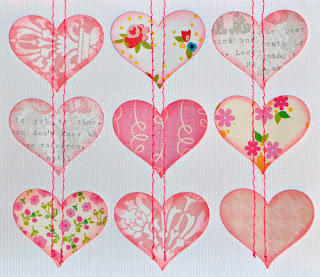 I did a LO with a sewn heart border and loved the look too. Your double stitching is awesome! what a great technique~ love that sewinh all the way through. OHHH! What a beautiful card--LOVE your inspiration! 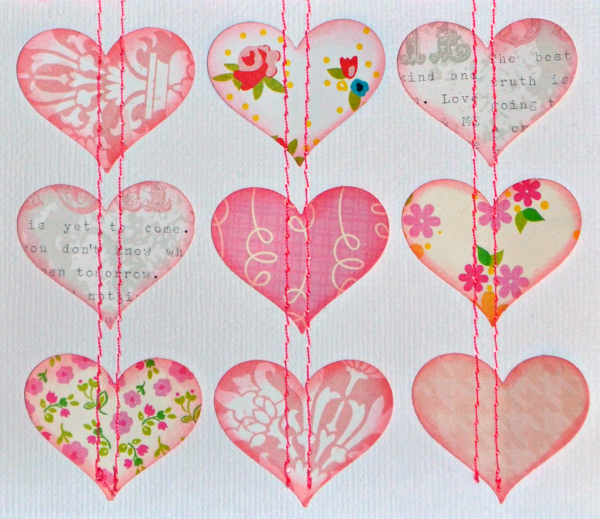 I also love those papers--FABULOUSLY done! 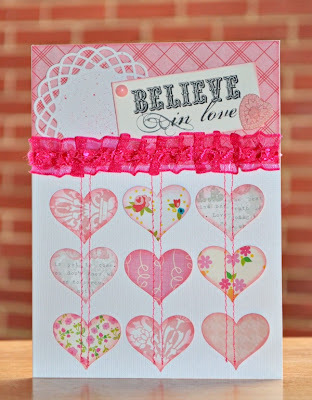 I think your card turned out adorable! The inspiration layout was gorgeous too. I can see why you liked it so much. Izzy! I love this trend! Your card looks amazing and beautiful! What gorgeous and pretty projects Izzy!! i love both so much. Fantastic layout especially love the pinwheel and flags. Great job.